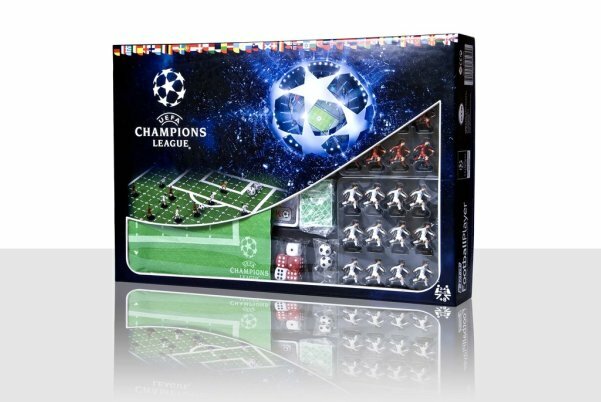 UEFA Champions League: Officially Licensed Board Game. board game simulation for 2 players. 13/02/2011: I would suggest to read carefully the rules and apply the real sport rules to it.... there is a lot going on in uefa champions league; if you love the tactical aspect of the soccer/football/sport -> you got the board game you were lookin' for. Given all the rolling, which i prefer to the vectorial move (Ghenos trademark), Uefa is just pure fun,the use of the special cards, to shoot over the men wall on the free kick, is a work of genius. 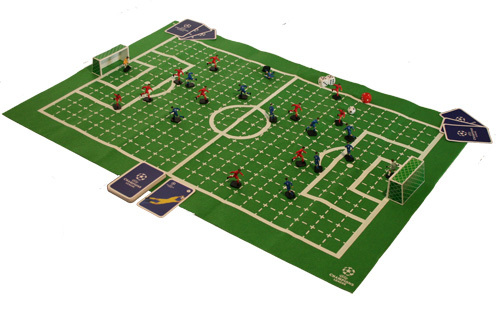 The Cloth pitch idea comes from the softspot for the Subbuteo set of the seventies, i presume. Top notch production = Approved ! Preliminary rate 8.5 -> extra comments coming soon.